Having the perfect wedding day starts with the details, starting with flowers from The English Garden. This Memphis florist has been offering a beautiful selection of blooms for weddings at all times of the year. 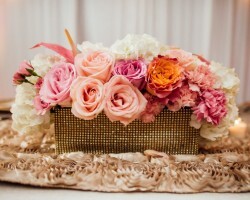 You can work with this company to make sure flowers are part of every aspect of the décor of the occasion. From the bouquet to the corsages and the centerpieces, you can choose flowers to be involved in everything and be used in a way that fits the theme or the colors that you are using in the event. Holly & Ivy Floral is a full service design company that uses the freshest flowers, beautiful vases and outside pieces to create completely original designs and décor. If you would like to make sure you have a custom wedding and reception that perfectly suits the vision you have for your big day then you need to work with this team. Reviews of the company cannot say enough about how flexible and talented this team is. This is something you should experience on your special day. Whether you need flowers delivery in Memphis or would like to hire a professional florist to design your wedding bouquet, East Memphis Florist, Inc. has all of the services to make your day or any day extra special. 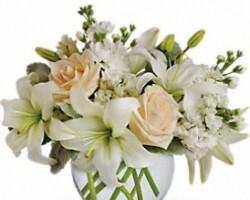 This company has affordable arrangements that are made with the most vibrant and fresh flowers possible. 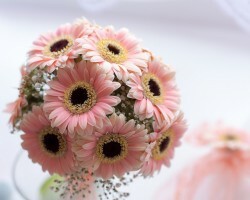 This means that they will add event more elegance and romance to your wedding. The best way to learn more about how this company can customize arrangements for you is to call their design team today. Pugh’s Flowers is one of the local flower shops that offers floral packages for weddings to help the couple save money. You can choose from the packages that the company has set or you can make custom changes and choices to really make your wedding flowers unique. All of the options offered by this shop are beautiful and fresh so you never have to worry about the quality of the blooms that will be used for your big day or special event. 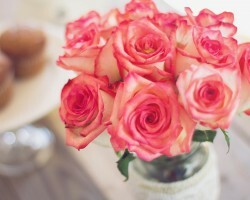 Branching Out Event Florist offers more services than the average florists in Memphis, TN. This company takes floral event design to the next level by working with the couple to create a décor and floral aspects throughout the event. Working with this company means having access to the widest range of flowers and the most skilled and creative team of professionals in the business. Your wedding will look like it came straight out of a bridal magazine with the help of this Tennessee team.